There's a lot a talk about smart chip credit cards. Do you need to ask your credit card issuer to upgrade your card? We explain what these cards are in simple terms. Pretty soon, carrying around a credit card with a magnetic stripe will be so 2014. Cards with embedded microchip technology are the wave of the future in the U.S., and they've already taken Europe by storm. It's estimated that 120 million EMV chip cards have been issued in the US as of the end of 2014, and that number is projected to grow thanks to new regulations that are set to take effect later this year. If you're wondering what all the fuss is about, here's an in-depth look at how these cards work and why they're finally catching on. WHAT'S AN EMV CHIP CARD ANYWAY? EMV cards get their name from Europay, MasterCard, and Visa, which collaborated on the development of the technology. They're also known as smart chips, and it's pretty easy to spot one. All of them feature a small metallic microchip that's visible on the front of the card, typically in the left hand corner above the first few digits of the account number. To use an EMV card in a store, you'd slide it into a terminal that's designed to read the data encrypted on the chip. This is called "card dipping," and it typically takes a few seconds longer to complete transactions this way as opposed to just swiping your card through a reader. If you're buying something online, you'd still type in your card number and the expiration date. Many of the EMV cards now available in the U.S. feature both a chip and a magnetic stripe. If you're someplace that doesn't have a chip card terminal, you can just swipe it the same as you normally would. As more merchants get equipped with chip reading terminals, the magnetic stripes could eventually be phased out completely. At some point, EMV cards may also be enabled to function at contactless terminals, which process transactions using near-field communication. If credit card companies decide to integrate this function, you'd be able to pay just by tapping your EMV card against a terminal, similar to the way you'd use a mobile wallet service like Apple Pay. EMV chip cards are identified as either "chip and signature" or "chip and PIN," and there are some differences in how they work. With a chip and signature card, you still have to provide a physical or electronic signature any time you use your card in-store. This is essentially the same as if you were using a regular magnetic stripe card. 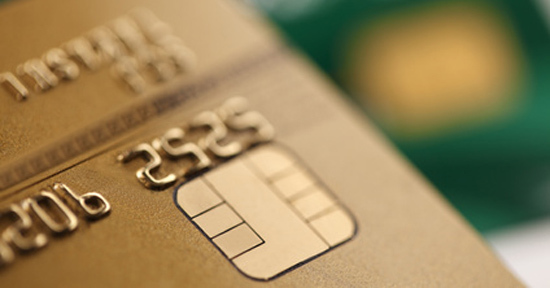 Most of the EMV cards used in the U.S. right now feature chip and signature capabilities. When an EMV card is chip and PIN-based, you have to enter a unique PIN number to complete your transaction, just like you do when purchasing something with your debit card. Depending on the card issuer, you may have to request a separate PIN if you want to be able to use your credit card to withdraw cash at an ATM. In Europe, chip and PIN cards are more common, and they're frequently used at places like train stations, tollbooths, and gas stations that have freestanding payment terminals. These terminals don't support chip and signature cards, so if you're planning a trip overseas, you'd need to scout out locations where you can and can't use your EMV card ahead of time. In Europe and other parts of the world, EMV chip cards have been in use for a decade or more. Part of the reason for making the switch in the U.S. is simply to keep up with the times. In certain countries, for example, it's not uncommon for travelers to encounter merchants that don't accept cards with magnetic stripes at all. The other major driver behind the move to EMV cards is rising concern over credit card fraud. Nearly 40% of credit card fraud that occurs in the U.S. takes the form of counterfeiting, according to a 2014 report from Aite Group. This happens when the information on your magnetic stripe card is compromised as the result of a security breach. Hackers can use it to create dummy cards and treat themselves to a shopping spree at your expense. Because of the way information is stored on EMV chip cards, it's going to be a lot harder for identity thieves to use it to their advantage. The data on a magnetic stripe, on the other hand, doesn't change. If someone is able to steal the information, they can replicate it over and over again and use it to make fraudulent purchases. The difference with an EMV card is that any time you use it, the chip generates a unique transaction code that's used to verify its authenticity. This code can't be duplicated, so even if hackers were to steal the information through a security breach, it would be virtually worthless. If they attempted to clone your card number, any charges they tried to make would end up being denied. As we mentioned earlier, the chip's security features are active only when you "dip" the card at an appropriate terminal. Just swiping the card's magnetic stripe won't give you the added layer of security protection that the chip provides. While a hacker could attempt to physically duplicate the chip in your card, it's highly unlikely they'd actually be able to pull it off. WHICH CARD ISSUERS CURRENTLY OFFER EMV CARDS? A number of card issuers have begun rolling out chip cards in the U.S., and more are expected to follow suit by the end of the year. Beginning in October, the four major card networks (Visa, MasterCard, American Express, and Discover) will put in place what has been called a "liability shift." Rather than taking on the liability when a fraud occurs as they do now, the network holds it against a merchant (if it doesn't have the ability to handle EMV cards) or the bank (if it has not issued a new card to its cardholders). In that case, the card issuer would be on the hook for the cost of those fraudulent purchases. That's a big incentive for banks to toe the line. To get an idea of just how widespread EMV cards already are, we've put together a list of the ones that are currently available by our partners. Most of these feature the chip and signature technology. HOW CAN I GET A CARD WITH A CHIP? There are a couple of different ways to go about getting your hands on a chip credit card. If you've already got a credit card with a major bank, it may be converted at some point automatically. Chase, for example, is already working on replacing magnetic stripe debit, credit, ATM, and prepaid cards with EMV cards for its customers. If your card hasn't been replaced yet but you know chip cards are available, you can call your bank and request that a new one be sent out to you. Because the cost of manufacturing these cards is higher than the old magnetic stripe cards, some card issuers are only giving them out if you ask for one. Otherwise, here is a list of the latest credit cards with smart chips from our partners. Chip-based credit cards change the way you pay for things but they don't affect your ability to earn miles or points if you're shopping with a rewards card. If you're worried about being affected by a data security breach, having an EMV card in your wallet can give you more peace of mind. While nothing is perfect, you can think of the EMV smartchip like a little computer. This is in contrast to magnetic stripes or RFID which only have a fixed value.